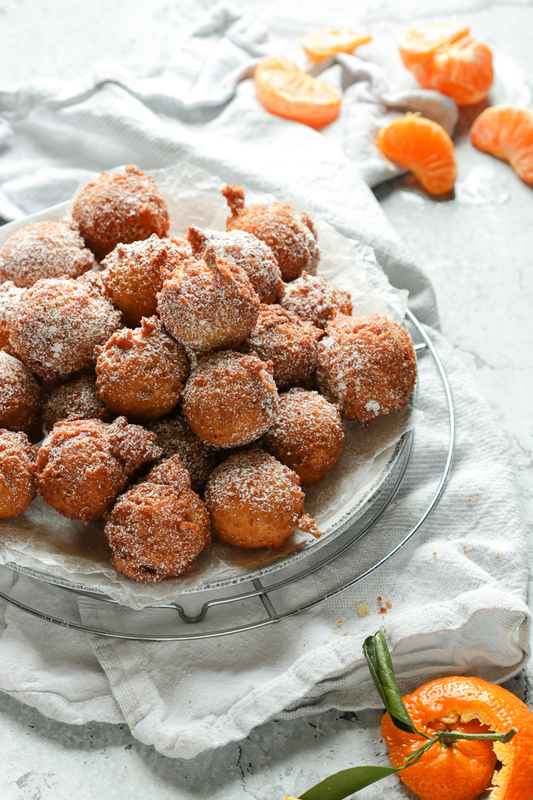 Italian Orange Frittelle are deep fried dough balls with a soft cake like interior and crispy outer layer. These little morsels are partially made with finely ground almonds, scented with orange mandarin zest and the warmth of vanilla. 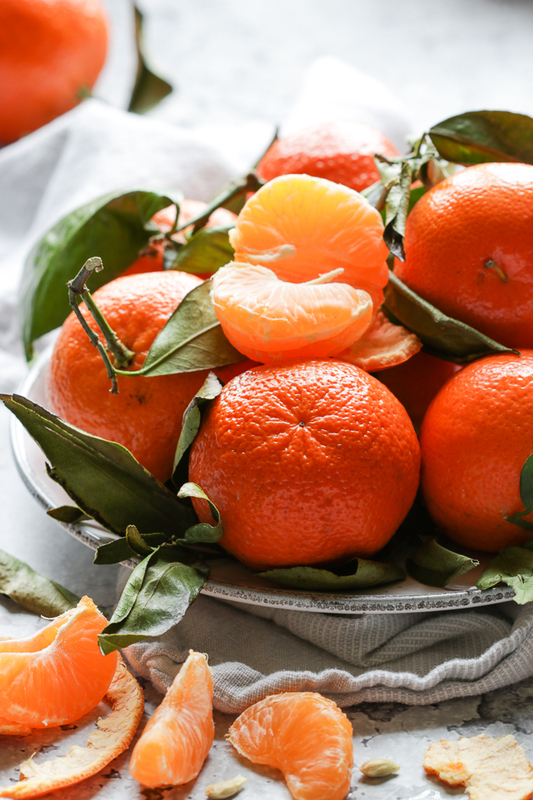 Lately, I’ve been loving these sweet mandarins. And in my home they’re purchased by the bag full whenever the super market stalls are brimming with these citrus fruits. Usually, I simply peel them and enjoy these delectable fruits from fresh. However, I find their grated peel adds a lovely citrus scent to any baked goods. You can squeeze out the fresh juices and use them in your favourite recipes. There’s no waste here at all but simply another way of making use of this lovely fruit. For all the many ways Italy celebrates Carnival season you’ll probably have just as many varieties of deep fried fritters. The festivities during this period start in February and are truly extravagant. It’s a procession of elaborate floats and costumes with singing and dancing. The sweets are just as rich as the costumes worn by those celebrating and usually consist of deep fried morsels of goodness. Growing up, Castagnole Fritte, made with leavened dough were always enjoyed right up until the Easter holiday. I sometimes fill mine with whatever flavoured jam I may have on hand. 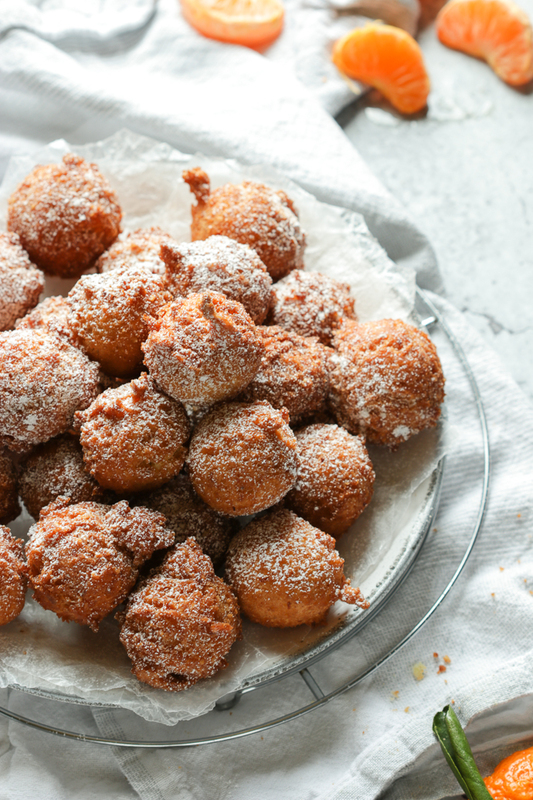 Another popular Italian fritter in my home are Zeppole, Ricotta Doughnuts. These are so incredibly light considering the ricotta in the mix. Today we’re making neither a leavened based fritter nor a ricotta one. They’re really quite simple and don’t require much hands on time. These Italian Orange Frittelle stand apart from other fritters as they have finely ground almonds in the mix. I’ve taken an extra step of pulsing the sugar together with the orange mandarin zest. Easy right? It takes one minute of your time and yields such a lovely perfumed sugar concoction. 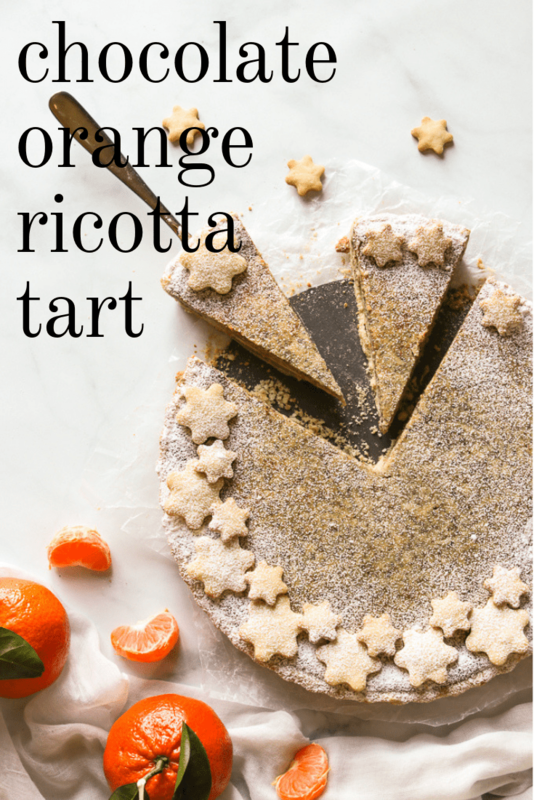 You’ll have a wonderful citrus aroma in every bite! Here’s a tip I learned from Stefan’s Gourmet Blog. Stefan gave me an excellent tip on how to accidentally prevent making nut butter when grinding nuts. All you need to do is simply add sugar when grinding the nuts! Enjoy these fritters while still hot with a dusting of powdered sugar and your favourite hot beverage. You’ll find them simply addictive! 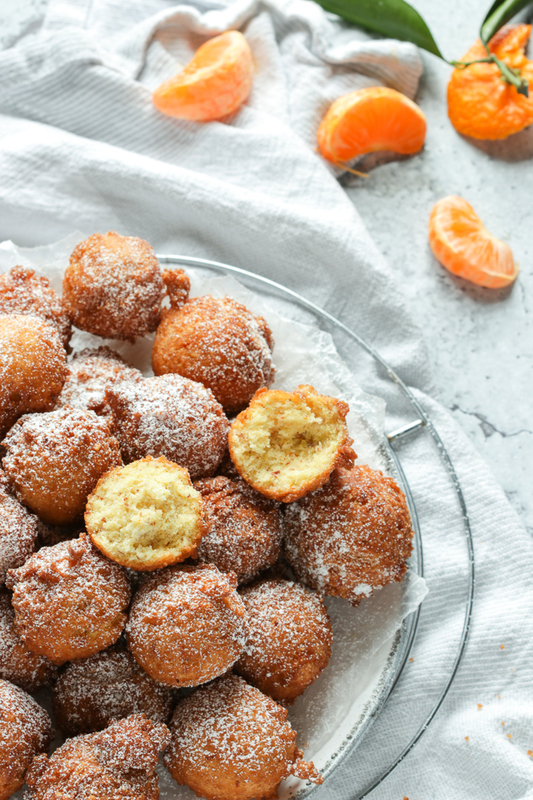 Italian orange frittelle are deep fried dough balls with a soft cake like interior and crispy outer layer. They're partially made with finely ground almonds and scented with orange mandarin zest and vanilla. 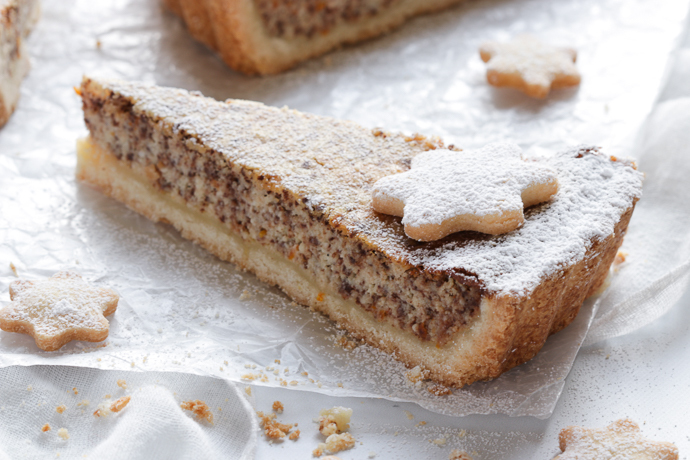 In a food processor, pulse together the almonds with 1 teaspoon of powdered sugar until very fine in texture. Transfer the almond mixture to a small bowl and set aside. In the same processor pulse together the granulated sugar with the mandarin orange zest. In a large bowl beat together the orange sugar mixture with the egg, orange juice and vanilla extract until combined. Add in the ground almond mixture, the sifted flour, baking powder, a pinch of salt and stir the mixture until well combined. In a large heavy pot or a dutch oven, pour in enough oil to reach 2 inches high and heat to 350 degrees F. Preferable using a candy thermometer for accuracy. Use a 1 1/2 inch cookie scoop or 2 small spoons to drop bits of dough into the hot oil. Don't overcrowd the fritters. Fry the fritters for about 1 1/2 minutes turning often with a slotted spoon until they are puffed up and have an all around golden brown colour in appearance. Use a slotted spoon to remove the fritters from the pot and allow to drain on a paper lined cookie sheet. 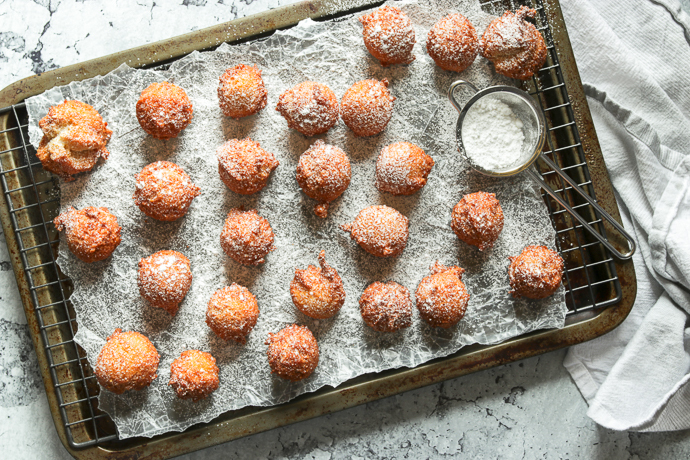 When finished frying the remaining frittelle, dust the fritters with powdered sugar and serve while still warm. Easy to make Homemade Cavatelli with Broccoli is a simple yet classic Italian recipe dish. You’ll be happy to know that these fresh handmade pasta noodles can be frozen for later use to have on hand at a moments notice. These cavatelli where definitely not a fresh pasta variety that I grew up with. I was first introduced to these delicate handmade pasta morsels by my mother-in-law. At first glance they looked similar in appearance to potato gnocchi, my absolute favourite childhood dish! 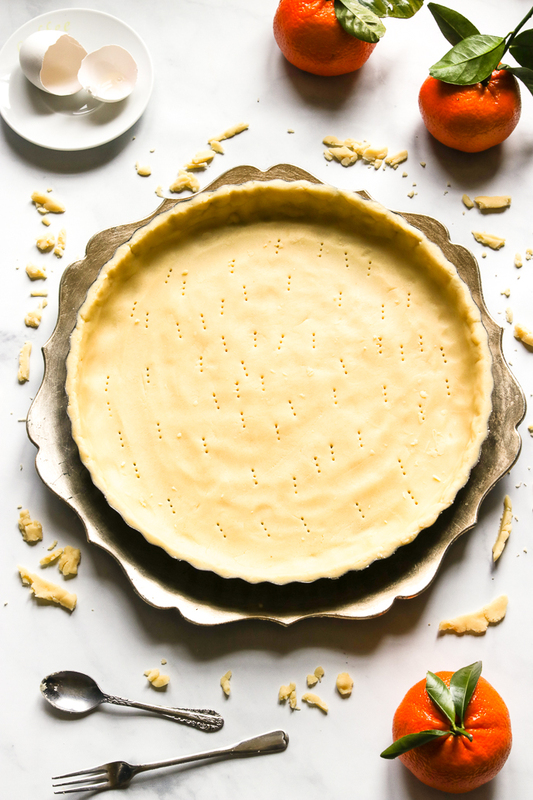 Although both have humble beginnings, with very few ingredients needed, they do differ somewhat in texture. Potato gnocchi are slightly plumper and light in taste considering that there’s potato in the dough. However, I find that cavatelli tend to have a firmer shape and more of an al dente bite to the cooked noodles. There are a few simple ingredients that go into making homemade cavatelli! Basically all you need are flour, water and a little extra virgin olive oil. You start by placing some flour on a work surface. Then simply make a well in the centre and pour about 1/4 cup of water and olive oil in the hollow centre. With a fork, gradually work in the flour a little at a time until a very soft ball forms. Keep adding water a tablespoon at a time while working in the remaining flour. It does get messy but if you have a pastry scraper nearby it will help release the dough from the work surface. Knead the dough for about 8 to 10 minutes until smooth. You’ll know it’s ready when it no longer tears apart while kneading. A short rest is needed after kneading (the pasta dough that is) so that the gluten relaxes and makes it easier to roll and shape the cavatelli. Mind you, you can take a short nap as well if you like while the dough rests. No judgements here! Yes! You can absolutely freeze these fresh pasta noodles after they’ve been shaped. 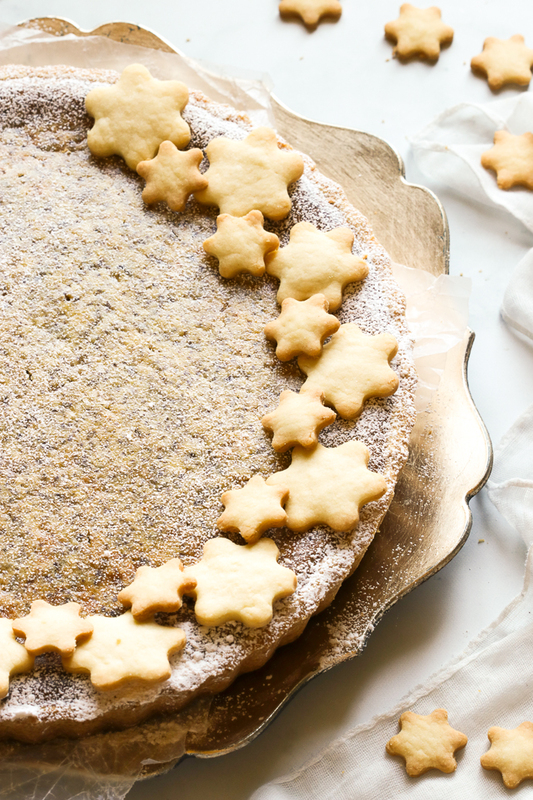 You’ll need a large baking sheet dusted with semolina flour. Simply transfer the cavatelli to the prepared baking sheet and spread them out into one single layer. Place the baking sheet in the freezer and allow the cavatelli to freeze until firm. For about 30 minutes or so. Once firm, transfer them to a plastic freezer bag and freeze up to 3 months. You won’t need to thaw them before cooking but they will need a couple of minutes longer to cook. My favourite way of serving homemade cavatelli with broccoli is with a very simple sautée of extra virgin olive oil, chili pepper flakes and smashed garlic cloves. And this can be ready in as little time as it takes to cook the cavatelli noodles. Then simply plate and serve with a drizzle of good quality extra virgin olive oil. You may want to pass around some extra chilli flakes for those who love a little extra heat and a good dose of freshly grated cheese. Easy to make homemade cavatelli with broccoli is a simple yet classic Italian recipe dish. These fresh handmade pasta noodles can be frozen for later use to have on hand at a moments notice. Place the flour on a work surface. Then simply make a well in the centre and pour about 1/4 cup of water and olive oil in the hollow centre. With a fork, gradually work in the flour a little at a time until a very soft ball forms. Keep adding water a tablespoon at a time while working in the remaining flour. It does get messy so it helps to have a pastry scraper nearby. This helps release the dough from the work surface. Knead the dough for about 8 to 10 minutes until smooth while picking up as much of the remaining flour as possible. You'll know it's ready when it no longer tears apart while kneading. It will feel smooth and will spring back when poked. If the dough seems dry when kneading while working in as much of the flour as possible, you can dab your hands with a little bit of water. Note that you will not need all of the 1 cup of water. I've only ever used 1/2 cup to 3/4 cup of water at the most. But its a great idea to keep it nearby just in case. When your finished kneading, cover the dough with cling wrap and let it rest for 30 minutes at room temperature. The resting time relaxes the gluten in the dough and makes it easier to roll and shape. 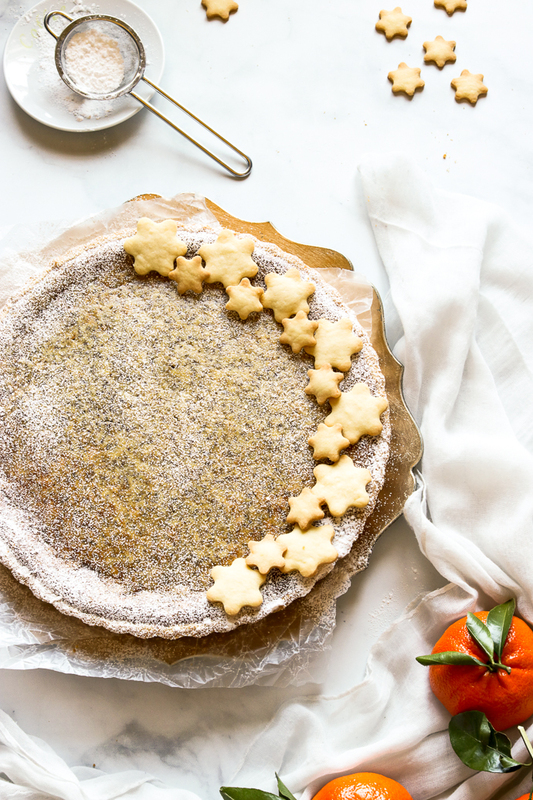 Sprinkle a rimmed baking sheet with some semolina flour and set aside. Cut the dough into 8 pieces. Working with one piece at a time, while keeping the remaining doughs covered, roll the piece out into a pencil thin rope. Use a gnocchi board if you have, to make the little caves or indentations in the dough. If you don't have a gnocchi board, use your index and middle fingers to press down into the dough and swiping towards you. This will create the distinctive crevice. Transfer the cavatell to your prepared baking sheet and repeat with the remaining pieces of dough. Salt the water and add in the broccoli. Cook the broccoli till fork tender, about 4 minutes. Once the broccoli is cooked, remove the broccoli with a slotted spoon but DO NOT throw out the water. Save to cook the cavatelli. Transfer the broccoli to a large skimming bowl and run under cold water. Set aside. Bring the water back to boil if needed and add in the cavatelli. Cook for about 10 minutes or till al dente. Meanwhile, in a large skillet, heat the olive oil on medium low heat. Add in the crushed garlic, pepper flakes and a dash of salt and pepper to your taste. Stir to brown the garlic all over. This will take 2 minutes or so. Drain the cavatelli while reserving 1/2 cup of cooking water. Add the cooked cavatelli and the broccoli to the skillet with the browned garlic sauce. Toss to mix well and add a little of the reserved pasta water if needed. Plate and serve with a little drizzle of extra virgin olive oil, a sprinkle of chilli flakes and freshly grated cheese if desired. A thick crust Pizza with Sausage and Sweet Peppers is my all time favourite kind of pizza. It’s topped with an easy to make homemade tomato sauce! Mildly spicy Italian sausages are scattered over the mozzarella layers. And, then topped with pan roasted sweet red bell peppers. It bakes up beautifully with a crispy outer layer. Delicioso! 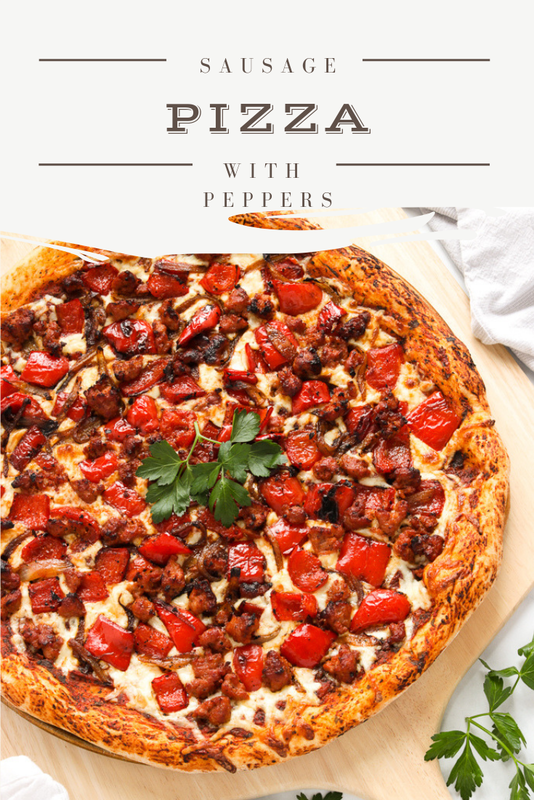 This Pizza with Sausage and Sweet Peppers post was originally published February 9, 2015. It’s been updated with new photos and content and republished March 9, 2019. 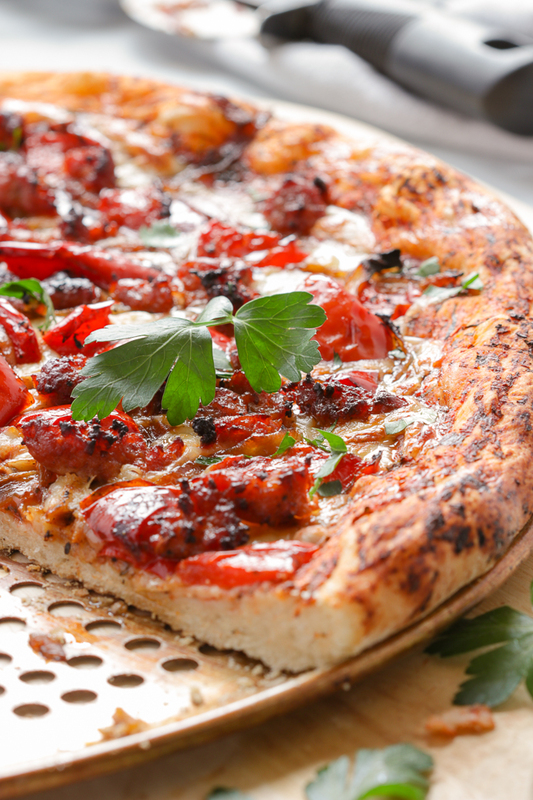 Pizza has got to be one of the most popular dishes to come out of Italy. There are endless possibilities! From thin crust to thick crust and with a large variety of cheeses to choose from as well as sauces and toppings. It’s so much fun to make and in less time than you might think. 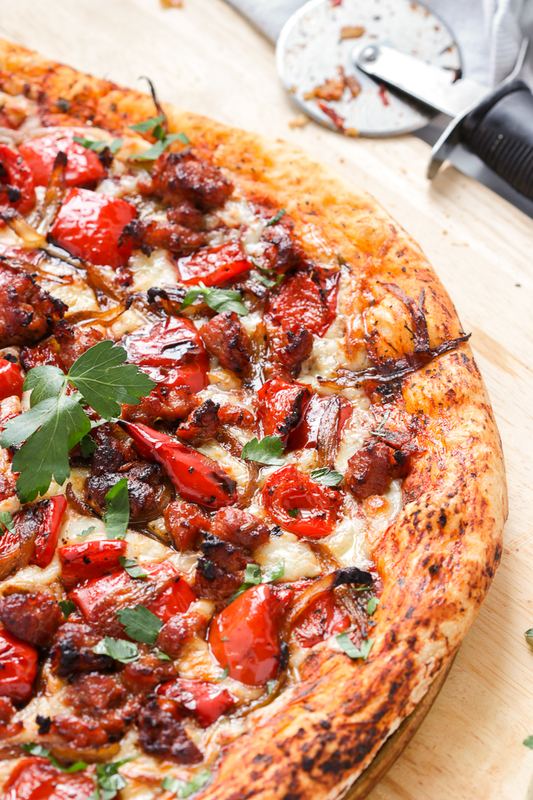 This pizza with sausage and sweet peppers is a family favourite. 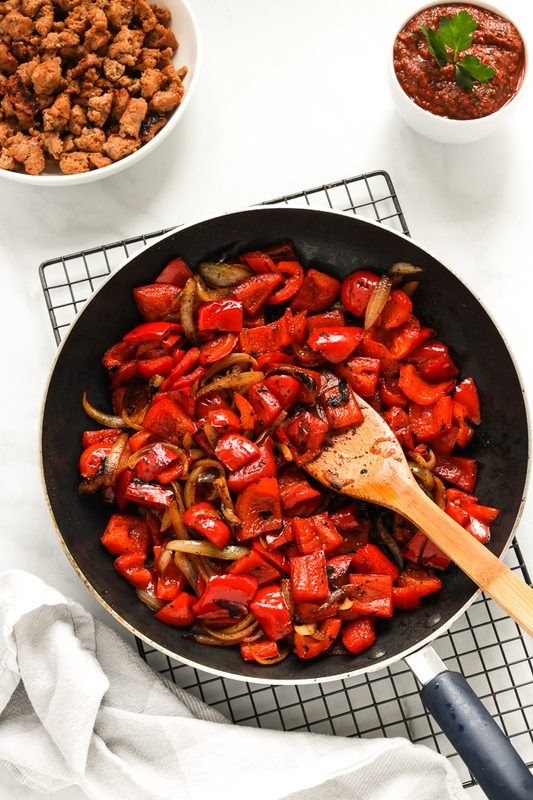 The combination of mildly spicy sausage and pan roasted sweet red bell peppers is a delicious combination. The dough bakes up just beautifully! 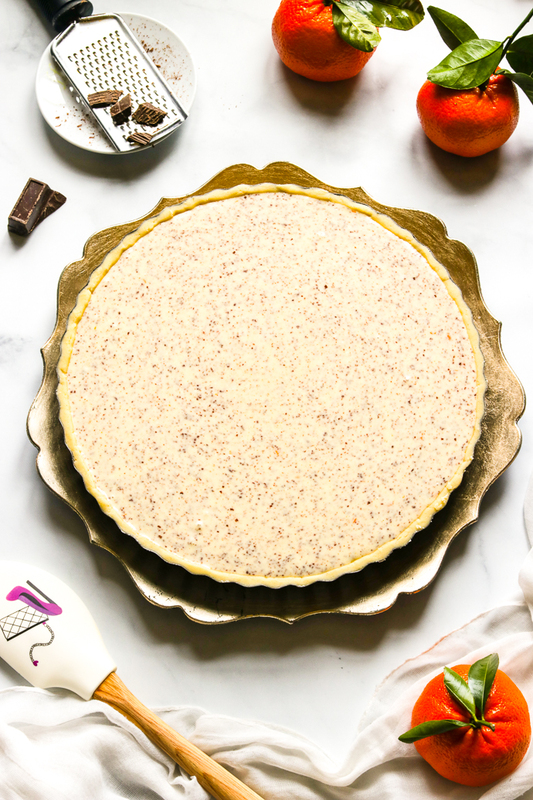 It’s soft and airy on the inside with a crunchy, crispy outer layer. As with most traditional Italian mammas, mine would make pizza once a week for us. There was no ordering in or take out in our family! It simply was not done! She would say “che vergogna”! What a disgrace! So now, I too make my own pizza once a week. Like… religiously! If you have never made pizza before do give it a try. There is something so comforting from creating dough from scratch! With just a few simple ingredients listed below, you literally have fresh homemade pizza dough in under 20 minutes. It’s a wonderful egg based dough! You’ll need to let it rise in a draft free place. On a sunny day I place my bowl of pizza dough on my dinning table where the sun comes shining through. It rises beautifully and works every time ! On a not so sunny day I let my dough rise on my kitchen counter right under one of the spotlights from underneath the kitchen cabinets. This works like a charm! I first brown my my meat in a skillet with a little oil, just to get them a little caramelized on the edges. Them I simply transfer the browned meat to a plate so that I can use the same skillet to pan roast the veggies. Why dirty another skillet…right? The pan roasted sweet bell peppers and onions are hands down my favourite pizza toppings. You can, however, simply slice the bell peppers and layer them over the pizza. In this case I would then brown the sausage with the sliced onions in the same pan. Either way it’s sure to be delicious! The ingredients are pretty straight forward and which you probably already have on hand. I love the San Marzano tomatoes as these are quite flavourful and sweeter then other varieties. They also have a low acidity level and really don’t have that many seeds in them. You can use either fresh or dried herbs. Whichever is at your most convenient is quite fine. The sauce yields approximately 3 1/2 cups. However you will only need 1 1/4 cup to top the 2 large pizzas. You can freeze the rest for future use for up to 6 months. But I’m quite confident you won’t be waiting that long to make pizza again! So here you have my traditional Pizza with Sausage and Sweet Peppers. 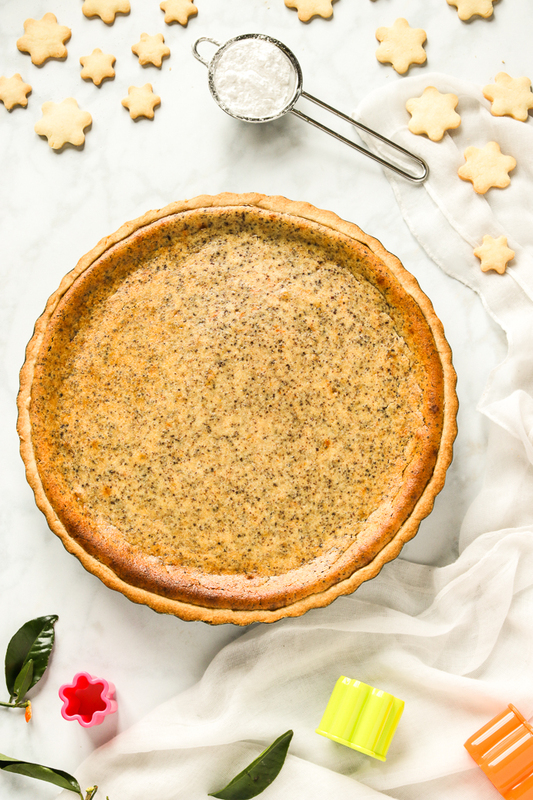 It’s pure comfort food at my house and we so look forward to this treat every single week! Pizza with Sausage and Sweet Peppers and a homemade tomato sauce. 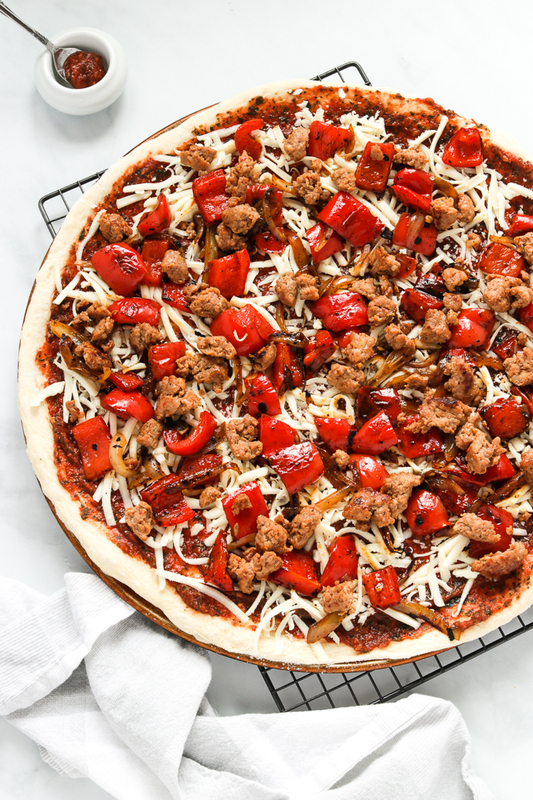 This thick crust pizza is topped with Italian sausages and pan roasted red bell peppers. In a medium size bowl, stir together 3 cups of the flour, salt and the yeast. Heat 2 cups of water with 4 tbs of olive oil in the microwave for 60 to 90 seconds. Take note that if your water is not warm enough the yeast will not activate. If it's too hot it will kill the yeast. Stir the warm liquids in the flour mixture with a wooden spoon. Add in the 2 eggs and stir till very well combined. Transfer the dough onto a well floured work surface and knead for about 5 minutes working in the last cup of flour a bit at a time just until the dough is soft and smooth. You may not even need the whole last cup of flour. Grease a large bowl with some olive oil and place your pizza dough in the greased bowl turning the dough to grease all over. Cover with cling wrap and let it rise till it doubles in size, for about 1 1/2 to 2 hours. While the dough is rising prepare the pizza sauce and toppings. Combine all the ingredients for the pizza sauce in a medium sized bowl and stir until well combined then set aside. You will only need half of the prepared pizza sauce divided among the two pizzas. Freeze and store the remaining half for the next use. Heat the olive oil in a fry pan and brown the sausage while breaking up the sausage with a wooden spoon for about 10 minutes. Transfer the sausage to a large plate and set aside. Using the same frying pan, add in the cut sweet bell peppers and onions. Pan roast the veggies on medium high heat for about 7 minutes with a dash of salt and pepper, adding a little olive oil only if needed. When the dough has risen and doubled in size, transfer it onto a well floured counter and cut it in half. Working with one half at a time, roll the dough out on a floured work surface using a floured rolling pin and roll to fit your pan. 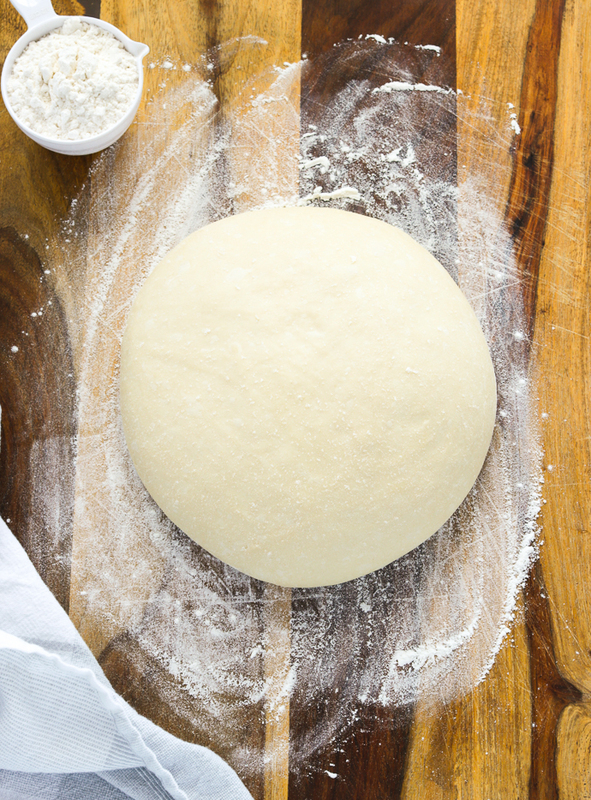 Transfer the rolled pizza dough to your baking pan and repeat with the second half of the pizza dough. Note that I use two 16" round perforated pans and I roll it out with a well floured rolling pin and on a floured counter. If the dough seems to resist rolling just let it rest for a minute then continue rolling it out. A perforated pizza pan does not need to be oiled. If you do not have a round perforated pizza pan you can use a cookie sheet which has been lightly greased. Spread the reserved pizza sauce over the the pizza dough using the back of a spoon. Sprinkle the 2 pizzas evenly with the grated mozzarella. Top with the sautéed sausages and pan roasted veggies. Bake in a preheated oven @ 425 degrees F, for about 25 minutes or until the crust is golden brown and the cheese has melted. 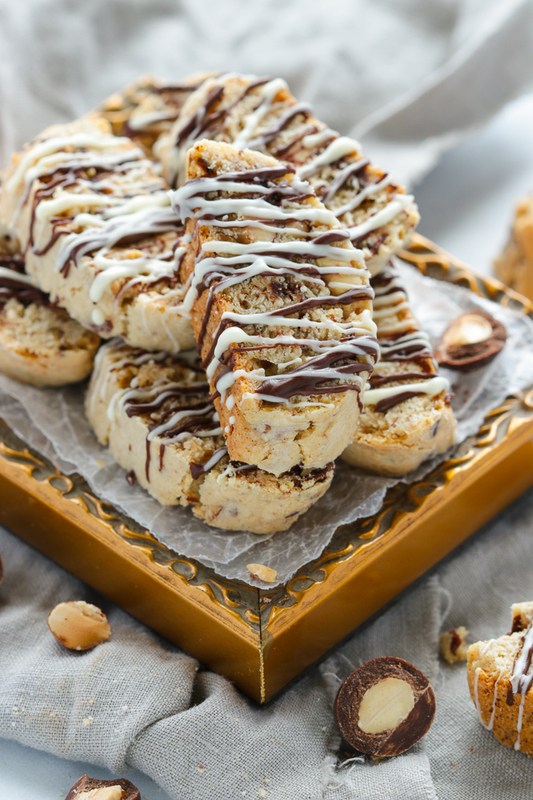 Delightfully tender and crumbly, these Amaretto Biscotti are chock full of roasted almonds, chocolate coated almonds and drizzled with more chocolate. 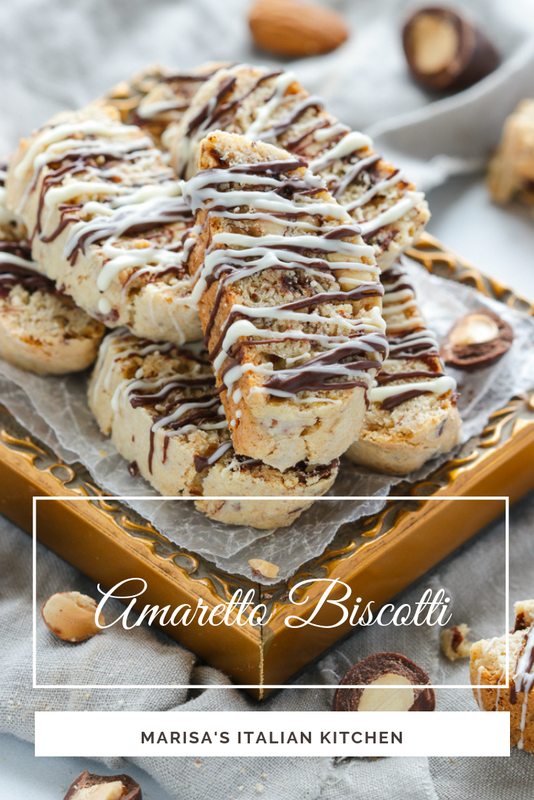 This Amaretto Biscotti post was originally published January 12, 2015 and republished March 1, 2019 with updated photos and content. I have a love affair with biscotti! My guilty pleasure! Well…one of them, I may have a few more. This Italian, twice baked cookie is very popular in coffee shops. Why buy them though, when you can just as easily make your own! They’ll be far more superior to the store bought ones. I always feature at least one flavour on my sweet table or cookie platter during the holidays. But then again, I really don’t need much of an excuse to bake them any time of the year. Nowadays I much prefer one flavour of biscotti or another rather then a chocolate chip cookie. They’re really not complicated to make at all and perfect for beginners. You can slice and bake them into long and elegant shapes or shape, slice and bake them into mini morsels as I have done with this recipe. 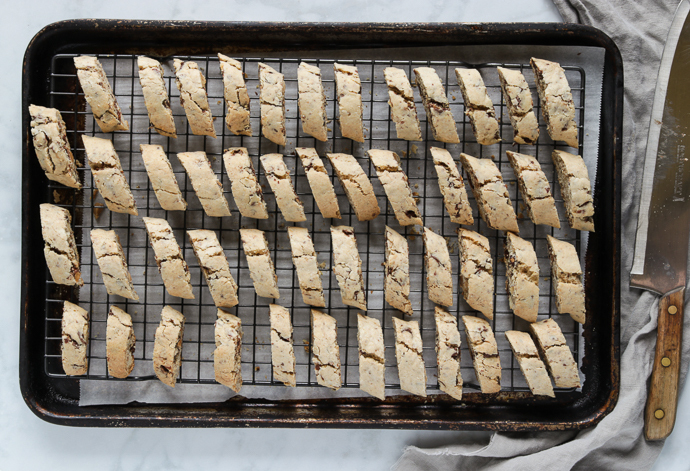 Unlike some rock hard biscotti which require dunking in milk, coffee or even wine, these are made with butter and have a more tender bite but still remain crunchy. They’re simply wonderful all on their own. However, a light drizzle of both the dark and white chocolate adds an extravagant touch of elegance. Brew a fresh cup of coffee and enjoy one of life’s simple pleasures. First off, I prefer to roughly chop the both the almonds and the chocolate covered almonds. This allows far easier slicing with cleaner cuts. After the initial first bake do allow the biscotti logs to cool for about 10 minutes for easy slicing. This makes the biscotti more pliable to a sharp knife. Make sure you’re on a steady cutting board. With the tip of the knife pointed downwards, slice at a diagonal in one fluid motion. I prefer to stand the biscotti slices upright for the second bake. This allows them to crisp on both sides without having to turn them over and risking breakage. 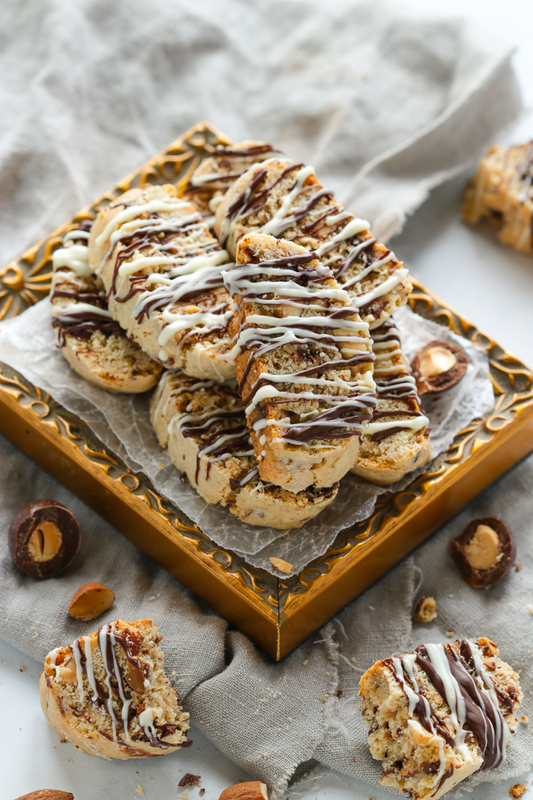 Allow the biscotti to cool completely before drizzling them with the melted chocolate. This helps the chocolate set much quicker. 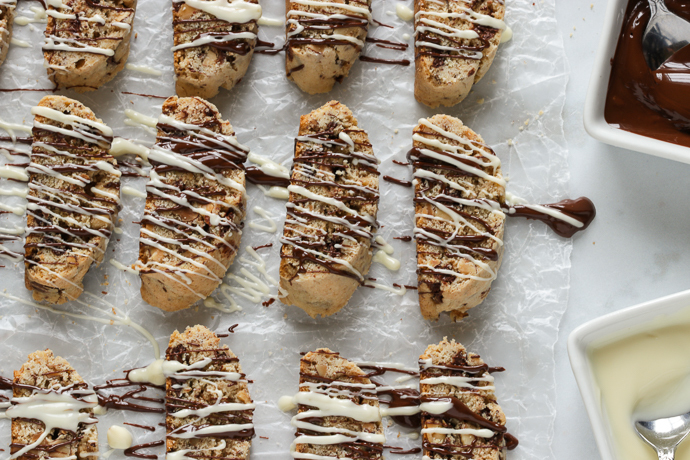 However, you can just as easily place the chocolate drizzled biscotti tray in the fridge if pressed for time. They’re at their best stored in an air tight container for about one week and freeze well. Lina a baking sheet with parchment paper and set aside. In a medium sized bowl, stir together the flour, baking powder, cinnamon and salt. In a large bowl, beat together the butter and sugar on medium high speed with an electric mixer until fluffy and light in colour. For about 2 minutes or so. Beat in the eggs, amaretto liqueur, almond and vanilla extracts until combined. With the mixer on low speed, add in the flour mixture and mix just until incorporated. Stir in both the roasted almonds and the chocolate covered almonds. On a lightly floured surface divide the biscotti dough in four equal portions. With lightly dusted hands, roll each portion into a 12 inch log and transfer to the prepared baking sheet. Bake for 20 minutes. The logs will be a light golden colour with firm tops. Meanwhile, reduce oven temperature to 250 degrees. Once cooled, slice each log crosswise into 3/4 inch pieces. Place upright on the baking sheet and return to the oven for the second bake. Allow the cookies to cool before drizzling with the melted chocolate. Place both chocolates into 2 small separate bowls and melt in the microwave at 20 second intervals. If your chocolate is too thick for drizzling, simply stir in a little vegetable oil to thin it out to a drizzling consistency. 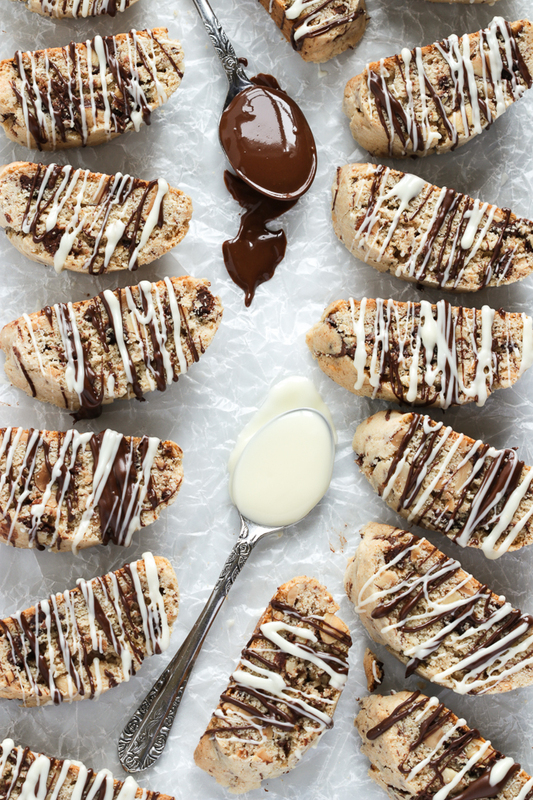 Using a small spoon drizzle first the dark chocolate over the sliced biscotti and then the white chocolate. Let the chocolate set before serving. I leave the biscotti on the cookie sheet at room temperature to set. However if your pressed for time you can place the cookie sheet with the biscotti in the fridge to set much quicker. Adapted from The food Network Magazine.